In this information you will find recipes and techniques that work to: Protect your house and lawn with special indoor and outdoor Shock Treatments: Ants, Snails, Slugs, Roaches, Fleas, Earwigs, Cockroaches, Silverfish, Beetles, Termites and Webworms. Say good-bye to those annoying yellow spots. Learn the secret to keep your grass greener in water restricted areas and in hot weather. Treat your lawn with a deworming concoction. (learn how and why you must do it once a year) Use effective Natural Insecticides (it's now time to learn what they are and how to use them. in the years to come, only natural insecticides will be permitted by cities!) Avoid serious plant, pet and child health problems caused by toxic commercial products. Protect yourself and your family against the nile virus in 1 minute. Kill ants and destroy the entire colony in 3 days or less. Kill harmful insects while fertilizing your soils. 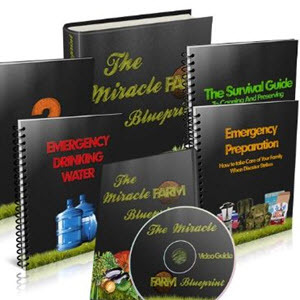 All of the information that the author discovered has been compiled into a downloadable book so that purchasers of Fertilizers Home Made Formulas can begin putting the methods it teaches to use as soon as possible. 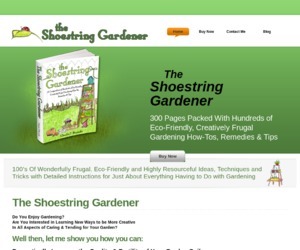 A fertilizer is any substance used to make soil more fertile. 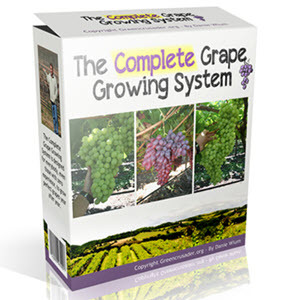 Plants need large amounts of three nutrients, commonly referred to as macronutrients Fertilizer manufacturers extract these three nutrients from natural sources and convert them into soluble forms that plants can easily use. Ammonia (NH3) is used as an applied fertilizer or as a building block for other fertilizer products. At room temperature it is a colorless, flammable gas with a pungent, suffocating odor. It becomes a clear, colorless liquid under increased pressure and is usually shipped as a compressed liquid in steel cylinders. Anhydrous ammonia is the form used primarily in refrigeration and agriculture. Ammonia is also stored as a refrigerated liquid under pressure and is injected into the soil or irrigation water as a gas after being exposed to air. After potassium is mined as potash, potassium chloride (KCl) is separated from the mixture, resulting in a granular fertilizer. Potassium chloride can be absorbed into the body by accidental or deliberate ingestion. When potassium chloride is ingested, diarrhea, nausea and vomiting, and sometimes weakness or convulsions may be evoked. KCl poisoning results in cardiac dysrhythmias when ingested at high amounts. To avoid such incidents, workers should be prohibited from eating, drinking, or smoking during application of fertilizer. In cases when ingestion is suspected, the mouth should be rinsed. In conscious persons, induce vomiting (20). Conventional synthetic fertilizers can dramatically affect the balance of nutritional elements in plants. When farmers use them excessively, these fertilizers likely create nutritional imbalances with their large pulses of available nitrogen, which in turn compromise crops' resistance to insect pests. Probably due to regulated release of carbon and nitrogen metabolites from hairy vetch decomposition, the cover-cropped tomato plants showed a distinct expression of selected genes, which would lead to a more efficient utilization and mobilization of C and N, promote defense against disease, and enhance crop longevity. These results confirm that in intensive conventional tomato production, the use of legume cover crops offers advantages as a biological alternative to commercial fertilizer, in addition to minimizing soil erosion and loss of nutrients, enhancing water infiltration, reducing runoff, and creating a natural pest-predator relationship. Monammonium phosphate (MAP) and diammonium phosphate (DAP) are called ammoniated phosphates because phosphoric acid is treated with ammonia to form these basic phosphate products that also contain nitrogen. They are widely produced in the granular form for blending with other types of fertilizers and are also produced in nongranular forms for use in liquid fertilizers. MAP and DAP can be toxic to the lungs in high concentrations. There are several emission standards for hazardous air pollutants from phosphoric acid and phosphate fertilizer production (18,19). In addition to sensitive populations that actually work on farms, additional sensitive populations are exposed to potential agricultural risks because of encroachment of housing and business development into areas that were previously farmland and immediately adjacent to land currently under cultivation or used as pasture. Drift of fertilizers, pesticides, herbicides, and odors only rarely have true adverse health effects, but involuntary exposures of any kind are emotionally and physically stressful and may lead to symptoms and legal conflicts. Persons with immunosuppression for organ transplant or due to infection have additional theoretical risk from living in close proximity to an agricultural operation. Genetically modified crops can directly benefit the farmer by altering the inputs needed to produce a crop, such as herbicides or fertilizer. Other plants are designed to benefit the consumer when the end product expresses a desirable outcome, such as improved quality, nutritional content, or storability (81,82). These new developments when used in conjunction with developments in the physical and social sciences, offer more sustainable means for obtaining necessary productivity increases that are less dependent on environmentally damaging inputs of chemical fertilizers and pesticides. Given appropriate policies and necessary human and financial resources, modern biotechnology could make an extremely important contribution to future agricultural growth. The production of phytoalexins as a result of pathogen invasion in mycorrhizal plants has been explored. Tomato plants inoculated with G. mosseae posed greater resistance to the pathogen F. oxysporum and were found to have increased phenylalanine and b-glucosidase activity and total phenol content in their roots compared to plants inoculated with either organism alone (Dehne and Schonbeck 1979). Sundaresan et al. (1993) reported that a purified ethanol fraction of mycorrhizal cowpea root extract inhibited F. oxysporum in vitro. However, the isoflavonoid was not identified. Production of phytoalexins in mycorrhizal plants appears to be independent of the effect of fertilizer addition (Caron et al. 1986b). In general, in the presence or absence of pathogens in plant roots, phytoalexins are induced in mycorrhizal plants that neutralize the negative effects of pathogens. Indirect methods are preventive measures such as (1) the use of drought-resistant varieties of crops (2) rotation of crops with less number of crop species in annual rotation (only one main crop instead of three crops per year) (3) preference for planting cereals on farms susceptible to drought (4) application of cultivation methods and fertilizers so as to accelerate crop development and maturity in order to shift the critical phase of plant development to the period endowed with higher availability of soil moisture (5) harrowing and shallow plowing after harvest to minimize moisture loss (6) deep tillage before winter to increase soil roughness (7) raising hedgerows and tree stripes at field boundaries to help preserve winter snowfalls and limit evapotranspiration and (8) using sluice gates to prevent or reduce water outflow from fields. Most important of all, the attainment of a satisfactory lodging resistance, which permits the application of higher doses of nitrogen fertilizers, together with the incorporation in the species of some level of tolerance to the most dangerous diseases (Puccinia graminis, P. recondita, Blumeria graminis, Fusarium spp., Septoria spp. ), had to wait until germplasm from outside the Mediterranean region was included in the breeding programmes. To be sure, the path most frequently and successfully followed was the hybridization of international germplasm with local types. But the local component, although synergic, was never resolutive. High yield always ranks at the top of any farmer's or breeder's list of important traits. Genetically improved crop varieties usually offer the most cost-effective and environmentally friendly means of increasing yields, with or without minimal use of chemical fertilizers and pesticides. Crop performance during the growing season is monitored by the members of the National Early Warning Committee (NEWC). Land preparation, planting, and cropping pattern are monitored based on the area prepared for cultivation as compared with the normal and last-year equivalents. Moreover, area planted is compared with last year and normal year. Dates of planting are compared with the seasonal crop calendar to identify any delay in planting. Crop conditions during specific phenological phases are monitored, and poor very poor crop conditions are also identified. Based on such monitoring, recommendations are made for alleviating any crop damage. The availability of inputs, such as fertilizers, pesticides, and improved seeds and the financial ability of the farmer to use the inputs is explained in the monitoring report. Finally, estimates on crop productions are made and compared with the last year and also with a normal year. Advances in biotechnology have direct implications in food and wood security. Biotechnology can provide the tools needed for the proper selection of genetically superior trees for breeding purposes their mass propagation by macro- and micropropagation techniques the production of high quality biofertilizers including mycorrhiza and nitrogen-fixing organisms and the production of microbial pesticides for biological control. The long-term implication is on the use of biotechnology in the production of transgenic trees, which may contain genes tailored to produce their own insecticides or to tolerate biotic and abiotic stresses. At the FICS, strong correlations were not found between ECa and individual soil properties at point sources. This is because ECa integrates multiple soil properties, wherein changes in one may be buffered by corresponding changes in another. In this semiarid environment, ECa is most useful for delimiting overall soil productivity and for defining distinct zones of within-field yield potential. Therefore, soil and residue sampling based upon ECa productivity zones appears to be a useful basis for (1) zone soil sampling, (2) tracking the temporal impact of farm management on soil productivity, and (3) assessing soil parameters to calculate fertilizer and herbicide inputs in site-specific management. (3) prescription maps for metering fertilizer, pesticide, and seed inputs. Even the timing of fertilizer application will determine the competitive outcome. For example, two cultivars of sugarbeet (Beta vulgaris var. sacchariferal) were more competitive with wild mustard (Sinapsis arvensis) if there was a late season nitrogen fertilizer application, and more competitive with lambsquarters if nitrogen was applied earlier in the season (Paolini et al., 1999). Similar results were found when nitrogen was applied later in winter wheat (Triticum aestivum), thereby reducing the competitive effect of ivy-leaved speedwell (Veronica hederifolia) (Agnonin et al., 1996). It is stated that the brown plant hopper (BPH) of rice is one of the dreaded insect pests in Asia. BPH is stated to be associated with synoptic weather conditions (depressions). Double cropping, extensive rice cultivation in the command area and indiscriminate use of fertilizers and pesticides aid the occurrence of BPH. Oping and transition countries strictly limit market access for new agricultural technologies. Restrictions are most common and problematic for seeds, but they also may interfere with machinery, fertilizers, low-risk pesticides, feed mixes and other items. Many developing countries maintain positive lists of allowed inputs, even those for which externalities are not a serious concern. For example, many countries list allowed plant varieties, and some also list allowed models of machinery, compositions of fertilizers, and feed mixes based on official performance tests . . Positive lists are far more restrictive than negative lists, which allow anything not listed. At a property level, policies for stock, pasture, and crop management tend to be based on expectations of average climate rather than on an extreme event such as drought. There is also a degree of flexibility to cope with the eventuality of extremely dry periods, although there comes a point when the most economic approach is to deal with drought when it happens (e.g., Daly, 1994). Strategic and tactical responses to drought differ according to the type of enterprise, and a variety of information is synthesized on fact sheets on various state government Web sites (e.g., http Strategies in nonirrigated cropping lands may include diversification of crops with varying degrees of drought resistance, sequencing of crops and fallow, or adjusting fertilizer application. The general template could easily be extended to accommodate other agricultural and environmental models. For example, models of crop nutrient uptake rely on the same basic system elements as soil water-balance models. They could be represented with little or no modification of the template, perhaps requiring a class to represent additional management practices such as fertilizer management. Ultimately, the template could be extended to include numerous classes representing all aspects of such systems. They call it a turf care model, but this 310-pound unit with a 7.7 cubic foot, 500-pound hopper capacity falls into the small farm category for us. With a 54-inch-wide coverage, this unit is ground driven and requires a minimum of 10 h.p. to pull it. The spreader is calibrated for seed as well as fertilizer distribution. A new product in their lawn and garden line, the I-bushel seeder, 100-pound fertilizer spreader constructed of polyethylene fits most lawn and garden tractors and riding lawn mowers. It has a 12-volt electric drive, mounts on a rear drawbar, and weighs pounds. Larger units are available. Gherardi Fertilizer Broadcaster Although this spreader is suitable for most types of fertilizer, it was designed chiefly for high-concentrate, granulated, pulled, or semi-pulled fertilizers requiring a high degree of The Midjet is a small, tractor-drawn, broadcast seeder-fertilizer designed as a lawn tool, which hitches to a small garden tractor. The AOAC alkalimetric ammonium molybdophosphate and photometric molybdovanadate methods for animal feed are described by Padmore (1990, pp. 87-88), and for plants by Isaac (1990, p. 56). A spectrophotometric molybdovanadate procedure is also described in MAFF ADAS (1986, pp. 181-182). The official Bran+Luebbe AutoAnalyzer method for phosphate in soil, plant and fertilizer extracts is reproduced with permission in Appendix 6. See the discussion with references in Chapter 4 'Nitrate and water soluble carbohydrate'. Soil extracts low in colour may also be analysed by this procedure by taking a 10-ml scoop of fresh or thawed soil. The official Bran+Luebbe AutoAnalyzer method for nitrate and nitrite in soil, plant and fertilizer extracts is reproduced with permission in Appendix 5. The heavy angle iron frame of the Mochudi Toolbar is supported on two pneumatic tires which allow the frame to be lowered or raised mechanically for depth gauge control by pulling back on a lift handle. The frame will support a planter unit, fertilizer applicator, disc hiller furrowers, sweeps for stubble mulching, and a transport cart. 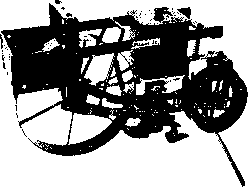 Other pieces of horse-drawn equipment available through the Cumberland catalog are Ferguson single-row planters, Rex guano distributors, and Old Blue riding-type fertilizer distributors. International Modern Machinery, Inc. manufactures this complete set of implements for the small farm where water buffalo, cows, or oxen are used instead of tractors. The set includes plow, disc, harrow, row maker, cultivator, fertilizer and planter distributing unit, and a piece of equipment used for leveling and draining the field. This set of equipment will allow the world farmer to put in his crop within a six- to eight-day period rather than a forty-five-dav period usually required when using his existing equipment and hand labor, leaving enough time for another crop. MRU Moderate Residue Turned Under HRU Heavy Residue Turned Under RC Row Crop ROS Residue on Surface at Seeding Time MF Moderate Fertilizer WC Winter Cover. MRU Moderate Residue Turned Under HRU Heavy Residue Turned Under RC Row Crop ROS Residue on Surface at Seeding Time MF Moderate Fertilizer WC Winter Cover. Additional options have been proposed for ecological weed management in the Canadian prairies and American northern plains. 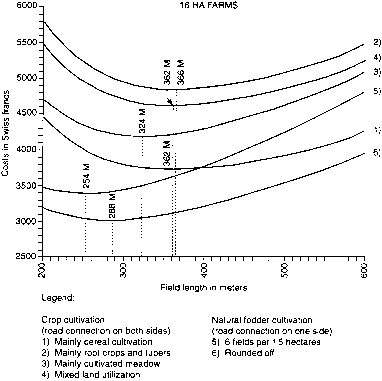 Derksen, Blackshaw & Boyetchko (1996) suggested that increased use of residue-conserving tillage techniques in concert with moderate use of herbicides may improve habitat for insects, fungi, and bacteria that attack weed seeds and seedlings. The investigators noted that there is considerable potential to minimize herbicide use in conservation tillage systems through improved use of crop rotations, competitive cultivars, and crop densities and fertilizer placement strategies that enhance crop competitive ability against weeds. Vides space for carrying a small load (500 kilograms maximum) without a trailer and provides a place for carrying extra weight in case more traction is required. The three-point hitch with hydraulic lift can be attached to a number of cultivation implements on a drawbar. A four-row seeder-fertilizer distributor is available along with a range c implements for tropical agriculture. Rohm and Haas Griffin Corp. Gustafson, Inc. Mallinckrodt, Inc. Griffin Corp. Mallinckrodt, Inc. Miller Chemical & Fertilizer Pennwalt Corp. Griffin Corp. DuPont Calgon Corp. Gustafson, Inc. Calgon Corp. Mooney Chemicals, Inc. Bedford Chemical Division Mallinckrodt, Inc. Chapman Chemical Co. Gustafson, Inc.
MRU Moderate Residue Under HRU Heavy Residue Under RC Row Crop ROS Residue on Surface at Seeding Time MF Moderate Fertilizer WC Winter Cover. MRU Moderate Residue Under HRU Heavy Residue Under RC Row Crop ROS Residue on Surface at Seeding Time MF Moderate Fertilizer WC Winter Cover. Like pH, media manipulations (Douds 2002) can further increase the recovery of propagules. Recent report on the success of co-culturing two different genera together with single host under in vitro as it occurs in nature, opens a new scope of an in vitro consortium package as inoculum, which may prove more superior in varied edapho-climatic regions where multiple mycorrhizal isolates may function better than single isolate inoculation for future (Tiwari and Adholeya 2002). 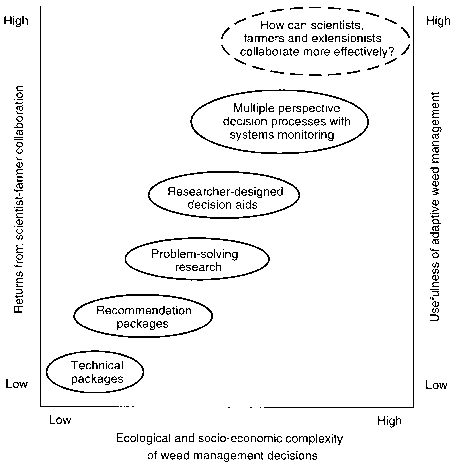 Industry-based research documentation's as such are not available to the end users but a recent brief insight into some of the potential techniques by Moutoglis and Beland (2001) along with other alternative production techniques such as bioreactor-based production techniques proposed by Jolicoeur et al. (1999) Jolicoeur and Pirrier (2001) making use of ROC proposes a bright future for AM biofertilizer. Drills also use bulk or volume metering. The rows are usually spaced 6-10 inches (15-25 cm) apart. Combining the row spacing and number of metering units is the traditional method for indicating the width of the drill. A drill identified as 13-6 would have 13 metering units spaced 6 inches apart or a width of 18 x6 12 9 ft. The calibration of grain drills is more critical than the calibration of fertilizer spreaders because drills dispense seeds. A small error in seeding rate can have a greater impact on the yield than an error in fertilizer application. In addition, it is more important that the seeds are planted uniformly. Grain drills can be calibrated stationary or mobile. The units cancellation method can be used in either situation. 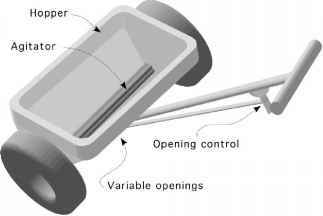 For both the stationary and mobile methods a container is attached to each metering unit, the drill is driven a measured distance (mobile), or the drill is jacked up and the drive wheel is turned (stationary) for a selected number of revolutions. Since the early 1900s, the routine use of uniformly applied agrichemical inputs on the better croplands has produced impressive increases in yields and labor productivity, first in temperate and later in tropical agriculture. Through multiyear replicated experiments, scientists conducted input-output research to identify the best broadly applied levels and combinations of different inputs, each of which has a specific, short-term purpose. Extensionists and later private crop consultants promoted the use of improved varieties, chemical fertilizers, and pesticides. This simple production model based on the efficient assemblage of purchased inputs into an end product resembles an industrial process (Levins, 1986). In the USA maize production quadrupled from 1940 to 1990 with fewer farmers and less land in production (Hossner & Dibb, 1995). In more recent years, in China rice and wheat yields have doubled and quadrupled, respectively (Hossner & Dibb, 1995). Most of the conventional breeding research that launched the green revolution was conducted by the public sector with the explicit goal of creating technologies that could be transferred internationally. International and national public sector researchers bred dwarfing genes into elite wheat and rice cultivars, causing them to produce more grain and shorter stems and enabling them to respond to higher levels of fertilizer and water. These semidwarf cultivars were made freely available to plant breeders from developing countries who further adapted them to meet local production conditions. Private firms were involved in the development and commercialization of locally adapted varieties in some countries, but the improved germplasm was provided by the public sector and disseminated freely as a public good. Identifying subsurface flow pathways is a very important application of GPR because of what (e.g., fertilizers, pesticides) may move with the soil water. Several investigations (Collins et al., 1994 Gish et al., 2002, 2005 Kowalsky et al., 2004) documented potential subsurface water movement. Collins et al. (1994) was one of the first to do so and will be discussed as an example. Initially, the 900 MHz antenna was used because of its ability to detect shallow features with high resolution, but it was not successful because of a recent application of granular fertilizer. 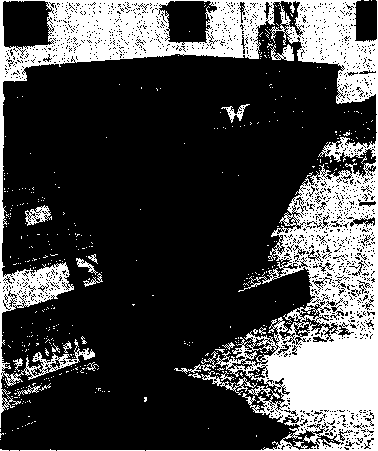 The fertilizer (high salt content) created noise and distortion to the radar data. 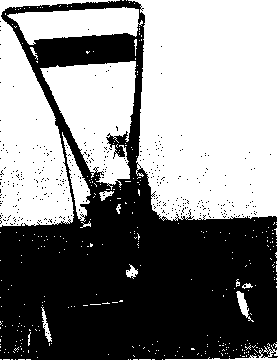 As a result, the 400 MHz antenna was used for the study. 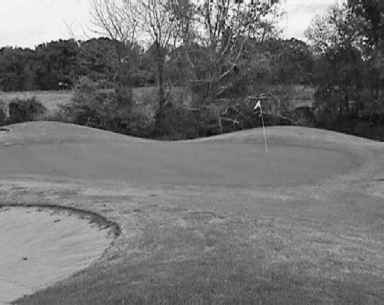 A discontinuity was located where the golfers would exit the greens. Planning for deficit irrigation entails a greater challenge than for full irrigation, because it requires the knowledge of the appropriate MAD and how this deficit will affect the yield. Deficit irrigation may call for changes in cropping practices, such as moderation of plant population density, decreased application of fertilizers and agrochemicals, flexible sowing dates, and the selection of shorter-cycle varieties. Wisconsin fruit grower Eric Carlson pays twice the price of conventional fertilizers to feed his half-acre of transitional-organic blueberries with composted poultry manure, augmented with elemental sulfur, potassium and magnesium. He calculates that those blueberries need a half-mile of weeding every two or three weeks a full mile if you figure both sides. The semi-load of mulches he buys each year suppresses his annual weeds, but perennials like sorrel and quackgrass the latter so tenacious he's come to admire it persist. At 8 an hour, Carlsons hand weeding costs five to 10 times as much as herbicide treatments. A second agricultural revolution began in the mid-17th century in Europe. During this and the next century, new arable rotations, new crops (potato, maize, marigolds, sugar beet, coleseed), and new seed drills, hoes and ploughs were introduced. 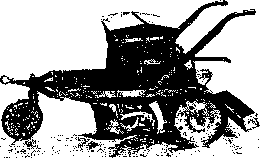 The 18th and 19th centuries witnessed the use of improved fertilizers and mechanization. The characteristics of stabilized or raw sludge that affect its suitability for land application and beneficial use include organic content, nutrients, pathogens, metals, and toxic organics. The fertilizer value of sludge, if evaluated and found to be suitable, is based mainly on the contents of nitrogen, phosphorus, and potassium. In food and agricultural wastewater treatment, sludge may not have sufficient phosphorus and potassium contents to provide good plant growth. Trace amounts of inorganic compounds in the sludge may spur or stunt growth of plants. Heavy metals in sludge, a perennial problem of municipal wastewater treatment plants, is less severe a problem in most food wastewater treatment processes. 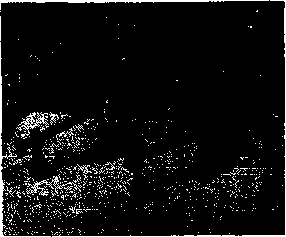 Detailed information regarding typical wastewater characteristics, including heavy metals, can be found in Metcalf and Eddy, Inc. (1991). Many producers cut costs with new management strategies, such as replacing purchased fertilizers and pesticides with cover crops and crop rotations, or raise animals on pasture rather than in confinement. Some developed innovative marketing strategies to gain a better end price for their products. Others combine trimming production costs with alternative marketing, doubling their efforts to boost profits. Management of groundwater quality in an agricultural context has several dimensions the pollution caused by agriculture (e.g. 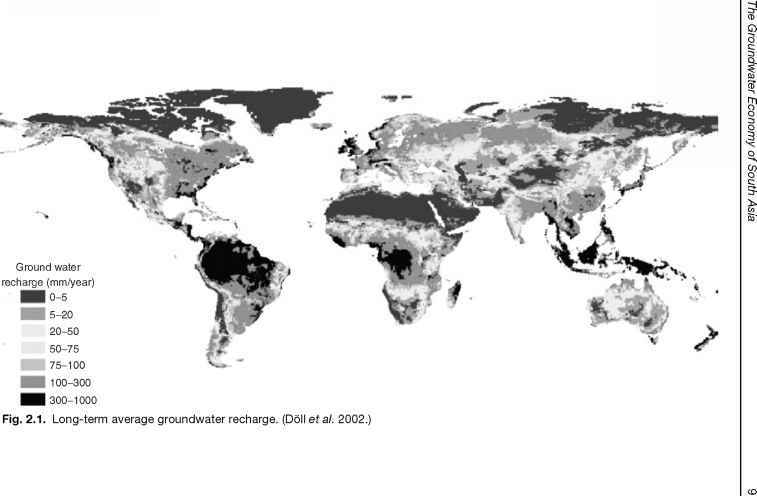 salinization due to fertilizer use, contamination of groundwater by pesticides, overpumping of coastal aquifers and sea water intrusion, overabstraction of aquifers with underlying saline water) and the pollution caused by other actors, but with a negative impact on water quality also for irrigators. In terms of the management instruments to be used in the first case, these range from educating farmers about the appropriate amounts of fertilizers and options for integrated pest management to avoid contamination of the groundwater to phasing out certain products, to increasing prices of harmful products in order to discourage their use. Unfortunately, non-point source pollution is very difficult to manage and there are not many successful examples. 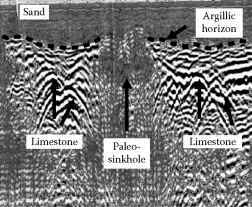 Initially, a 900 MHz antenna was used because of its ability to examine shallow subsurface features with high resolution. 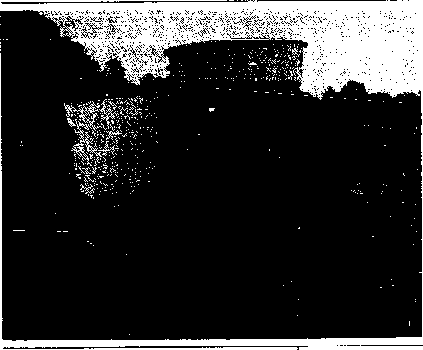 However, a large amount of unexpected noise appeared in the image. This might be attributed to the granular fertilizer applied to the green earlier. High salt index in the fertilizer may possibly cause some distortion as well. The 400 MHz antenna was used in the same area, but very little noise was found. In order to prevent the interference by the applied chemicals, the 400 MHz antenna was used for the entire study. Data were collected at each flagged line and marked at every meter point. The speed of pulling the antenna would be best if the scanning speed can be maintained constant. Public-private sector partnerships take a wide variety of forms. In India, an Indian-Swiss project funded by the Swiss Development Corporation involves Swiss research institutes or universities, Indian public research institutes, and private Indian companies in research, development, and production of biofertilizers and biopesticides. Since ancient times, farmers have practiced irrigation using surface water from nearby sources for a variety of crops including Aman and a number of nongrain Rabi crops. There have been local Aman species cultivars that required very low levels of supplementary irrigation. Traditional irrigation techniques have been used extensively. 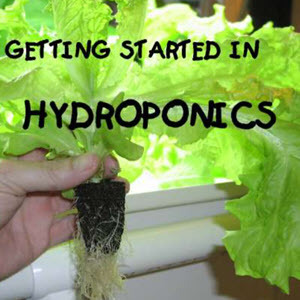 With the advent of green revolution in the mid-1960s and with the development of HYV seeds, people began to irrigate lands heavily. The initial results have been excellent in terms of grain yields. 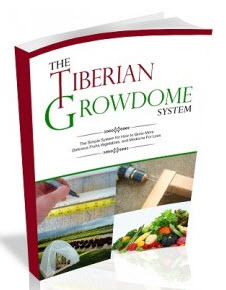 However, over the years, the requirement for fertilizers and irrigation has increased significantly due to the gradual deterioration in land quality due to the erosion of major nutrients, micronutrients, and organic carbon contents from the topsoil. Throughout the world, we are seeing unprecedented changes in our economic, social, and ecological systems that are having adverse impacts on plants, animals, and humans. These changes are leading to the resurgence of old diseases and the emergence of new ones. The landscape and diversity of animals in many regions are changing due to overgrazing and deforestation. Increasing pollution of water bodies by nitrogen-rich waste-water, fertilizers, and soil runoff and loss of wetlands and mangroves due to development and aquaculture, diking, and drilling is promoting growth of marine and freshwater algal blooms. These algal blooms may be toxic to animals and humans. Monitoring the patterns of temperature, wind, precipitation, and biodiversity has enormous implications for surveillance of disease vectors and reservoirs (1). 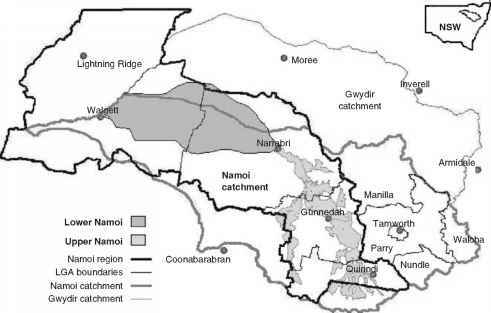 The Namoi River catchment lies in north-east-central NSW and covers approximately 42,000 km2, as shown in Fig. 15.3. The river flows 350 km from east to west and there are three major storages on the main stem and its tributaries Keepit, Chaffey and Split Rock dams. The catchment includes part of the Liverpool Plains that has been subject to long-term investigations of fertilizer and agrochemical pollution of groundwater. Rain generally occurs in summer but is highly variable between years and seasons, from as high as 1100 mm year over the Great Dividing Range in the east (upper catchment) to as little as 470 mm year in the downstream area in the west. As in the rest of southeastern Australia, potential evaporation generally exceeds rainfall rising from 1000 mm year in the east to more than 1750 mm year in the west. Waste, spent mushroom compost, a bracken- or seaweed-based compost, agricultural and food processing wastes etc., which might be put to agricultural use. Composts are often very heterogeneous, which makes it difficult to prepare a sufficiently homogeneous sample. The high humus content makes them similar to peat soils, where organic matter can exceed 95 , which can affect not only the analytical method, but also the interpretation of the results in making fertilizer recommendations. As described previously, biological nitrogen removal is not the only technology available for nitrogen compound removal from wastewaters. Some nonbiological processes are able to recover nitrogen compounds in their dissolved forms for potential uses as fertilizers and are viable alternatives under some circumstances. On the whole, however, physicochemical processes for removing nitrogen from wastewater are not practically popular. The reasons for the unpopularity are often cited as cost, inconsistent performance, and operating and maintenance problems. The principal processes employed for nitrogen removal from wastewaters are air stripping, breakpoint chlorination, and selective ion exchange.